Quality is an important factor in wire tensioning. This is especially vital when dealing with wires in bulk quantities. Sometimes, manual tensioning may not provide the desired level of tension in wires. 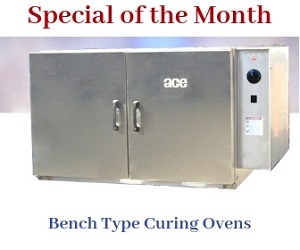 Understanding this requirement, Armature Coil Equipment (ACE) provides the Model 48 Series as the solution. The Model 48 is a pneumatic tension device. It is designed to provide a high level of tension to multiple wires. The device is extremely capable of handling round, square, and rectangular wires, which are used in loop, group, and transformer operations. The device provides controlled pressure, while ensuring that the wire insulation does not undergo any physical damage. The device consists of a heavy duty housing, which is screwed onto a flat metal bar base. The housing comprises pressure plates, which apply tension to the wires when they pass through the plates. High density plastic plates are encased by steel plates. The housing can be opened from the rear to allow easy plate removal and replacement. The service life of the pressure plates can be extended by turning them at a 90o angle. The device is fitted with four steel rollers – two at the front, and two at the rear. These rollers rotate on bronze bushings, and guide the wires in and out of the tension device. The rollers are held by nuts, which can be loosened for roller adjustment. The rollers can be slid along slots in the housing to adjust the spacing between them. If required, the user can also install additional rollers as per his requirement. 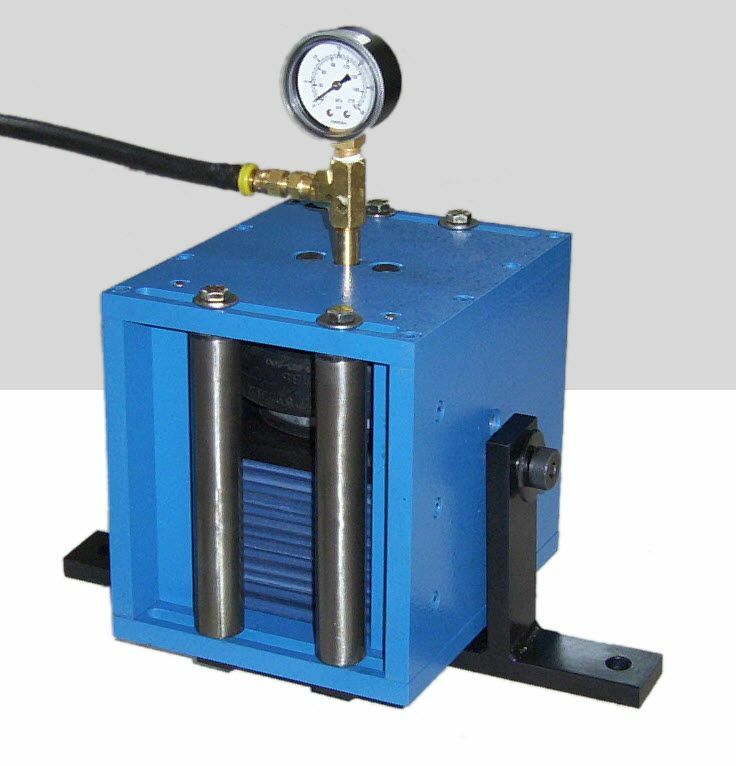 The pneumatic tension is provided via an air chamber that is attached to the device. It provides the necessary pressure required for the tensioning operation. The air chamber is connected to a foot control valve, which applies or relieves pressure on the tension device. This allows the operator to have complete control over the tensioning process. Once the process has been completed, the pressure from the air chamber is mitigated, as is the tension on the conductors. The operator can then remove the wires from the device easily. 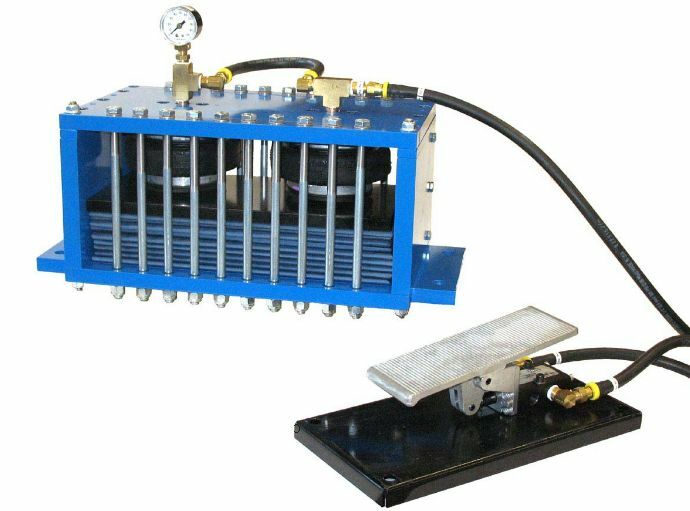 The air operated tension device is offered with various accessory components to support its operation. Ancillary components include a floor pedal control valve, a pressure gauge and regulator, and connecting air hoses with fittings. As mentioned previously, the housing is set on a stationary metal base. This base is provided with holes so that the tension device can be mounted onto a larger system. The unit can be customized to hold up to 72 conductors. A second air chamber can be provided to ensure high operation performance. Hence, the pressure can be increased up to 100 PSI. The custom housing can be designed to contain nine pressure plates in between two plastic plates. Customers can go for a custom design with 20 steel rollers to support the seamless movement of the bulk conductors through the tension device.